Automotive automatic transmissions typically use a planetary gear train to transmit power at a number of desired output-to-input speed ratios. This is achieved by connecting the gear sets forming the train in various ways as well as connecting certain members to the input and outputs shafts as well as friction elements to hold them stationary. As the gear train is coaxial, the connections between the members of the gear sets as well as input, output and fixed member connections must be planar (i.e. do not intersect) for the transmission to be assemblable. 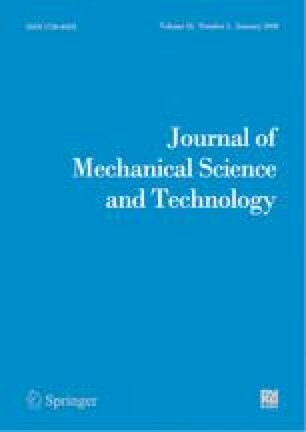 This paper proposes a methodology to perform such planarity (assembly) checks to examine if kinematic configurations of a given concept design for an automatic planetary gear train be mechanically assembled by using a vertex addition algorithm based on graph theory. The proposed methodology is demonstrated through selected planar and non-planar transmission examples. Hyun Sik Kwon is a Senior Research Engineer at Advanced Transmission Development team in Hyundai Motor Company. He received his Ph.D., M.S. and B.S. degrees of Mechanical Engineering from The Ohio State University in 2013, University of Michigan in 2007 and Hanyang University in 2005, respectively. His research focuses on design and analysis of an automotive automatic planetary gear train. Ahmet Kahraman is the Winbigler Professor of Mechanical Engineering at The Ohio State University. He is the Director of Gear and Power Transmission Research Laboratory and Pratt & Whitney Center of Excellence in Gearbox Technology. After receiving his Ph.D. degree in from Ohio State in 1990, he worked for GM for 10 years. His current research on gears focuses on design and analysis, dynamics, lubrication and efficiency, wear and fatigue life. His current research programs are funded by more than 75 companies. He authored more than 200 papers on gear research. He is a fellow of ASME and member of STLE.